I wanted to kick off the post with some exciting news from the Philadelphia Eagles. In an effort to make a more affordable and enjoyable event for Eagles fans, Eagles Flight Night replaced the annual Eagles Carnival in 2009 as the primary fundraising event for Eagles Youth Partnership, the team's charitable wing. 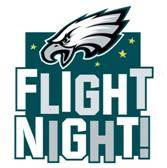 Eagles Flight Night allows fans to pay one low entry fee and enjoy an exciting evening of Eagles football-related events in a game-night setting. This year's Eagles Flight Night will be held on Thursday, August 5. The "pre-game" fun, beginning at 5 p.m., includes an interactive kids zone, Super Bowl grab bag game, Wives' Yard Sale, live music and more. The event itself will begin at 7 p.m. with the Philadelphia Eagles Cheerleaders, Eagles mascot Swoop and Eagles Pep Band, followed by the main event - a full-team practice - and the first chance for fans to see the entire team in action at Lincoln Financial Field. Thousands of random giveaways and other surprises round out the evening, including the "Off Our Backs" giveaway, where fans can win jerseys fresh off the backs of their favorite Eagles players. It all concludes with a fireworks finale. "Two paragraphs in, and no mention of 'gluten free,'" I hear you asking. (Perhaps I buried the lede.) OK, here it is. This year, Eagles Flight Night will have a gluten-free concession stand behind Section 117. The stand will be serving gluten-free hot dogs, fruit gummy snacks, trail mix and juice boxes. Tickets to the event are $10 for kids and $20 for adults, and can be purchased through Ticketmaster. VIP tickets also are available. Earlier in the week, I wrote about the new ice cream cones and waffle bowls from Goldbaum's. I haven't heard about any local stores carrying the waffle bowls yet. If anyone spots them, feel free to share the info via comment to the post. Thanks to reader Rachel G. for a couple of tips on Philadelphia restaurants. Zama, near Rittenhouse Square (128 South 19th Street, 215-568-1027), keeps wheat-free soy sauce on hand and can modify many entrees and sushi bar items to be safe. In addition to having a selection of gluten-free beers and ciders, the NoLibs outpost of The Foodery (837 North 2nd Street, 215-238-6077) can make sandwiches with gluten-free flatbread. The Pub on Passyunk East - affectionately known as the P.O.P.E. (1501 East Passyunk Avenue, 215-755-5125) - has gluten-free bread and rolls for its sandwiches. The pub usually has a gluten-free cider or beer on hand as well. Hat tip to reader Adriana Z. On the subject of restaurants, Adriana and several other readers have started a Gluten Free Supper Club, meeting once a month or so at a different Philadelphia eatery each time out. I joined the group earlier this week for dinner at Rx in West Philly; their first dinner was at Distrito. For more information on the club - no password or secret handshake required - e-mail Adriana. Based in Villanova, No Nuts Nikki (484-380-2620) makes all nut-free desserts, including a line of gluten-free sweets. Owner Nicole Rayfield uses separate bakeware, utensils and mixers for her gluten-free all-occasion cakes, cookies and brownies. Now you can get gluten-free goodies delivered with your Fruit-of-the-Month Club selection. Harry & David, the mail-order and online purveyor of fruit baskets and gourmet foods, offers an assortment of cookies and brownies. 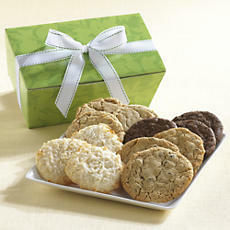 The cookie selection includes three each of Peanut Butter, Chocolate Chip, Mint Chocolate and Coconut Macaroon. Three Original Fudge, three Chocolate Chunk and two Walnut Fudge make up the brownie assortment. Each assortment is $30; use code FREEDEL for free standard delivery through September 12. Glenny's is offering a one-week sale through August 5 on Gluten Free Oatmeal Chocolate Chip Cookies ; save 15 percent using coupon code JHE762X at checkout. 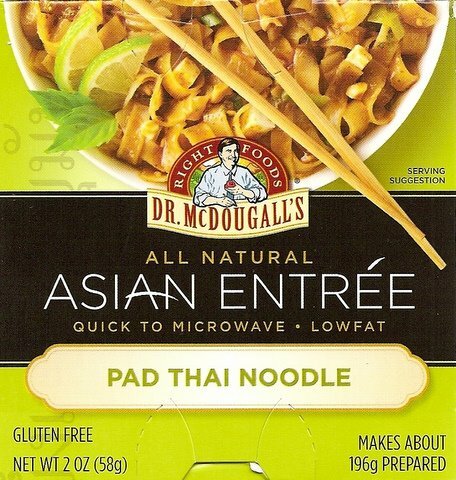 Dr. McDougall's Right Foods has unveiled a new line of Asian noodle entrees, one of which is gluten free. 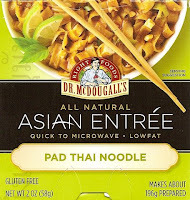 A microwaveable cup of the Pad Thai Noodle, made with wheat-free soy sauce, is 200 calories and two grams of fat. I spotted this at the Whole Foods Market on Callowhill Street in Philadelphia. Daniel McLaughlin has taken on an experiment to adhere to a different diet every month for the entire year - The Thirteenth Diet - comparing the strengths of each of these mainstream diets in hopes of coming up with a diet that's a stronger hybrid of each of them. (In April, he hosted a gluten-free dinner.) His next dinner is tonight at his home in South Philadelphia, and the theme this time is "Raw," which happens to be both vegan and gluten free. For more information about the dinner, contact Daniel through his website. The Reading-area R.O.C.K. chapter will be holding a vendor fair on Saturday, August 21 starting at 2 p.m. The event, being held at the United Methodist Church at 15 Woodside Avenue in West Lawn, will feature gluten-free foods from companies including Amaranth Bakery and Grandma's Gone Gluten Free. The group will have a children’s area with snacks and activities. There will also be a video presentation on the latest research and a guest speaker. The Bucks/Montgomery R.O.C.K. chapter is sponsoring a pool party on Sunday, August 22 in Glenside beginning at 2 p.m. All family members are welcome; bring swimsuits, towels and a gluten-free snack to share. For the location and to RSVP (with the number of attendees and childrens' ages), contact Holly and Steve Staugaitis at 267-664-6425. 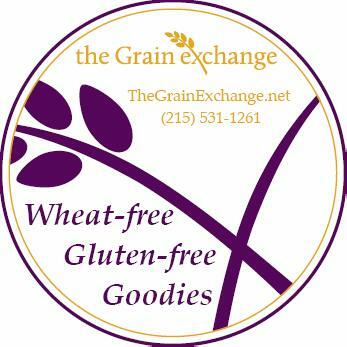 The next quarterly meeting of the Gluten Intolerance Group's Chester County branch is scheduled for Wednesday, August 25. Group leader Nancy Artus, Ph.D. will share highlights of the GIG Annual Education Conference and answer questions from 7:15 p.m. to 8:30 p.m. Vendors will be selling gluten-free products beginning at 6:30 p.m. The meeting will be at Chester County Hospital's Fern Hill Wellness Center, located at 915 Old Fern Road, Building B, in West Chester. Whew! I'm taking some time off in August, so I will be posting a bit less regularly over the next few weeks. Stayed tuned, though, for news on the return of a locally brewed gluten-free beer and details on the next Appetite for Awareness event. Keep sending in your restaurant and product tips as well. Have a great weekend! While any time's a good time for ice cream in our house, the summer is peak season. So it was good timing that I discovered several new varieties of Goldbaum's all-natural ice cream cones. Among the products recently introduced by the Brooklyn, New York-based company are vanilla and sugar cones and, yes, waffle bowls and jumbo cones. All of the cones and bowls, made primarily with potato starch, are manufactured in Israel and are vegan, GMO-free and Kosher Parve. The only discernible difference I sensed between the Goldbaum products and wheat cones is that the former lack a bit less crispiness. (The company suggests in that case to warm them up in a pre-heated oven for two minutes.) Otherwise, they are excellent. Look for Goldbaum's at local natural foods stores and markets. I bought the cocoa-flavored sugar cones at ShopRite in Cherry Hill, while Water to Go/Gluten Free Dynasty in Pennsauken has the jumbo cones and several others. The products can be ordered online at The Gluten-Free Mall. The 2010 pro football season is near, which means that I get to defend my fantasy football league championship! Preceding the start of the campaign, of course, is training camp for the players (the athletes, that is, not the fantasy-team managers). 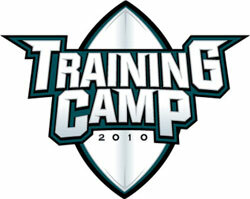 Practices for the Philadelphia Eagles begin on Tuesday, July 27. If you're planning to watch any of the action or attend the autograph sessions at Lehigh University in Bethlehem, know that there are quite a few gluten-free options in the area - a list of restaurants can be found in my post from last July. 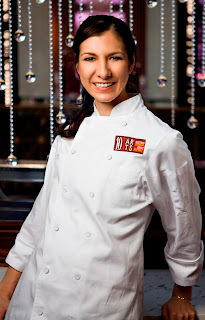 I posted my first "Dishing With" profile this week - a Q&A with Monica Glass, the pastry chef at 10 Arts Bistro & Lounge in Center City Philadelphia. Monica was diagnosed with celiac disease last year, but doesn't let it stand in the way of creating wonderful desserts. Please drop me a line to suggest other local chefs, restaurateurs or area personalities for a future "Dishing With" feature. New to the restaurant page is Mazzella's in Wilmington (729 Philadelphia Pike, 302-762-8722), which now serves Still Riding's gluten-free pizza. Thanks to reader Amanda T., who tipped me to the fact that Teresa's Cafe in Wayne (124-126 North Wayne Avenue, 610-293-9909) offers gluten-free penne for the pasta dishes. The restaurant's sister Bar Next Door serves Redbridge beer. Latin tapas restaurant Tinto in Center City has updated its gluten-free menu. The Grain Exchange's Oatmeal Caramel Delight bars, which I wrote about in April, are available in the frozen-foods section of the North Wales Whole Foods. The bakery's cakes and cupcakes are available at The Lucky Cupcake Company in Pipersville (6011 Kellers Church Road, 267-362-5136), and McCaffrey's in Yardley will begin carrying products in a few weeks. On the heels of the recent Celiac Awareness Night at the Phillies game comes a similar event from the team's minor-league affiliate in Reading, Pennsylvania. As I mentioned this week, the R-Phils will host a Celiac Awareness Day on Sunday, August 29 with a gluten-free buffet in the third-base picnic section. Check out the post on the event for more details and ticket information. Denizens of University City can get gluten-free Chinese any which way - dine-in, take-out or delivery - from Beijing Restaurant (3714 Spruce Street, 215-222-5242). I've added more restaurants from the Stephen Starr emporium to the restaurant list, as a rep told me that the kitchens can accommodate gluten-free diners. In Philadelphia, steakhouses Barclay Prime (237 South 18th Street, 215-732-7560) and Butcher and Singer (1500 Walnut Street, 215-732-4444), Alma De Cuba (1623 Walnut Street, 215-988-1799) (which offers a cassava flatbread appetizer), Mexicans El Vez (121 South 13th Street, 215-928-9800) and El Rey (2013 Chestnut Street, 215-563-3330) (serving gorditas made with corn masa buns), comfort foodery Jones (700 Chestnut Street, 215-223-5663), Continental Mid-Town (1801 Chestnut Street, 215-567-1800) and Continental (138 Market Street, 215-923-1800) are now listed, as is Continental at Atlantic City's Pier Shops at Caesars (1 Atlantic Ocean, 609-674-8300). Morimoto, Buddakan and Parc already were included. Panzone's Pizza and Pasta in Beach Haven on Long Beach Island (1106 North Bay Avenue, 609-492-5103) has gluten-free pizza - ask for it to be baked on a clean pan. Udi's gluten-free bread is now served at Jason's Deli locations nationwide, including in Willow Grove (3610 Welsh Road, 215-366-5103). 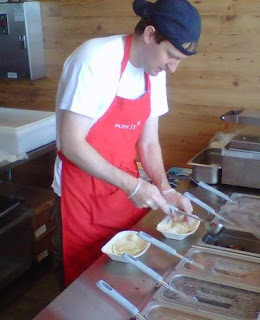 Pure Tacos, the recent Ocean City Boardwalk addition, was profiled in the Atlantic City Press this week. Swiss Haus Bakery in Center City no longer carries gluten-free sweets. 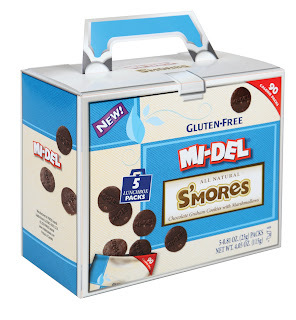 Among the first gluten-free cookies we bought after my older son's diagnosis were ones from MI-DEL. New treats from the company are on the way. Gluten-Free S'mores are chocolate graham-style cookies with marshmallows. Each "lunchbox" contains five packs of bite-size cookies, only 90 calories each. Pamela's Products has introduced single-serve boxes of its Chocolate Brownie Mix and Baking & Pancake Mix. Shoppers will be able to find these on store shelves this Fall for about $1.99 each. The single-serve packs make a stack of four pancakes or one microwave brownie in about a minute. To quickly make pancakes, add water, oil, and an egg, and cook on an oiled griddle or pan. For an individual brownie, put the contents of a single-serve pack into a microwave-safe cup or bowl, add water and oil and microwave. Ali Shapiro, a nutritional counselor in Center City and a frequent health contributor to the local NBC 10! show, is leading a series of hands-on cooking classes teaching techniques for preparing natural and low-glycemic desserts. Her “Wholesome Desserts” Sunday Summer Salon Series - hybrid cooking classes and educational workshops - continues on Sunday, August 8 (Crème de la Crème) and Sunday, September 12 (Pâtisserie) from 4 p.m. to 7 p.m. in the Rittenhouse Square area. All desserts are gluten and dairy free, and organic wine and non-alcoholic beverages will be served. For more information and to register, visit Ali's website. Scout major-leaguers of the future and enjoy gluten-free ballpark food on Sunday, August 29, when the Reading Phillies sponsor Celiac Awareness Day at FirstEnergy Stadium. The Double-A affiliate of the Philadelphia Phillies will host a 2 1/2-hour, all-you-can-eat gluten-free buffet prior to and during that day's game against the Binghamton Mets. In addition, the first 2,000 kids will receive a Team Baseball Card Set and all fans can run the bases after the game. Seating will be in the Fairground Square Mall Third Base Picnic Area. Tickets are $27 per person and groups that book 20 or more tickets will receive the group discount of $26 per person. The ticket price includes table seating in the picnic area and the buffet. Chicken, hot dogs, baked beans, pasta salad, cookies, lemonade, iced tea and Pepsi products will be available. The buffet will be open from noon to 2:30 p.m.; game time is 1:05 p.m. 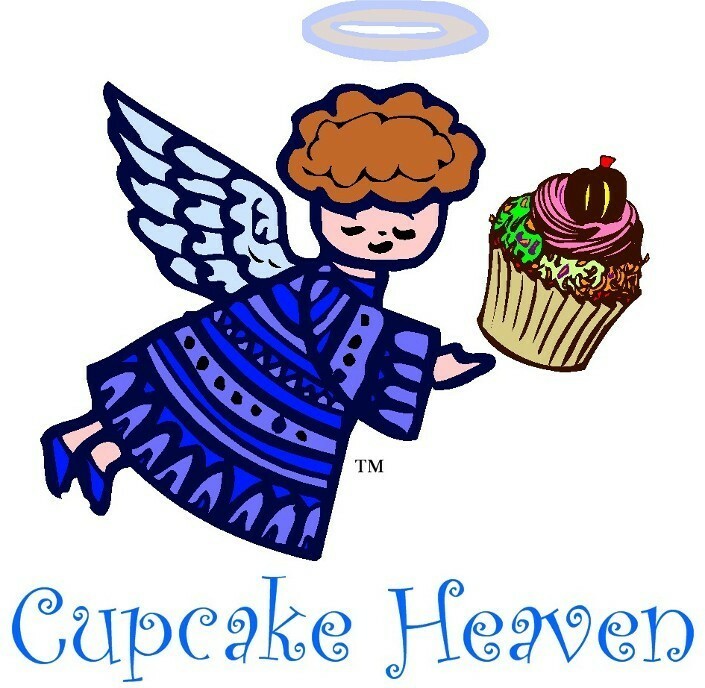 Among the vendors providing food for the event are Sweet Christine's, Mi-Del, Cookies ... For Me and Kinnikinnick Foods. Tickets can be purchased directly through the team by calling 610-375-8469. 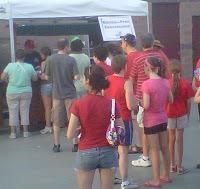 Thanks to everyone who turned out at the Phillies game Wednesday to support Celiac Awareness Night. The gluten-free food stand offered Seasons Pizza, hot dogs, hamburgers, Good Eatz sweets and more. With the large turnout and variety of food and beverages purchased, hopefully the stadium concessionaire will take notice and add to the current gluten-free options. Earlier in the week, I wrote about my family's recent trip to Ocean City that included stops at two gluten-free-friendly eateries on the Boardwalk. Terra, a New American in Philly's WashWest nabe (243 South Camac Street, 215-545-1102), can accommodate gluten-free diners. Thanks to Whitney and Kristin at the National Foundation for Celiac Awareness for the good word. Doylestown's Baked on Main (22 South Main Street, 215-340-7629) has gluten-free dough available for its rustic flatbreads. I'm told that the prep area is cleaned for a gluten-free order and the flatbreads are baked in the oven on a pan. Also in the 'burbs, Limoncello Ristorante in West Chester (9 North Walnut Street, 610-436-6230) offers gluten-free pasta. While the flatbreads there aren't gluten-free, Earth Bread + Brewery in Mt. Airy (7136 Germantown Avenue, 215-242-6666) does have Glutenus Minimus on tap, brewed with rice, buckwheat and sorghum. Reader Chuck B., who e-mailed me about the beer and took the photo nearby, described it as "very light, smooth, refreshing and lemony." I've posted the updated gluten-free menus from several Jose Garces concepts to the restaurant list: Amada and Chima recently refreshed their choices. Reader Jayne O. let me know that Lucky Bones Backwater Grille in Cape May is working on a formal gluten-free menu, which should be available before the summer is out. The Philadelphia Inquirer reported that Roy's, the Hawaiian fusion restaurant in Center City, closed last weekend. Now arriving on Track 1 is Main Line Baking Co., a new gluten-free bakery set to officially open on Monday at the Wynnewood Train Station (75 East Wynnewood Road, 215-292-4200). Samples and free Colombe coffee will be available today from 7 a.m. to 2 p.m. The baked goods - items like chocolate chip cookies, banana bread, lemon pound cake and vanilla cupcakes - will be available Monday through Friday. The sweets are baked in a dedicated gluten-free/dairy-free kitchen on the premises. A tip of the conductor's cap to Jessica at the Celiac Advocate blog, who learned about the bakery in her travels this week. New in Haddonfield is Desserted Pastries (605 North Haddon Avenue, 856-275-7357). Owner Carrie Longacre tells me that she has gluten-free chocolate chip cookies available. She uses specially designated utensils, bowls and the like and sanitizes the kitchen's stainless steel table for that rendition. She can also make other gluten-free sweets with advance notice. Virago Baking Company has reopened at its new home at 322 1/2 West Main Street in Lansdale. 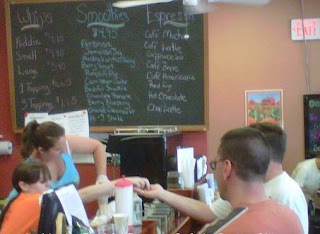 With thanks to reader Mark M., the last day of retail sales at Mr. Ritts Gluten Free Bakery in Millville is July 31. 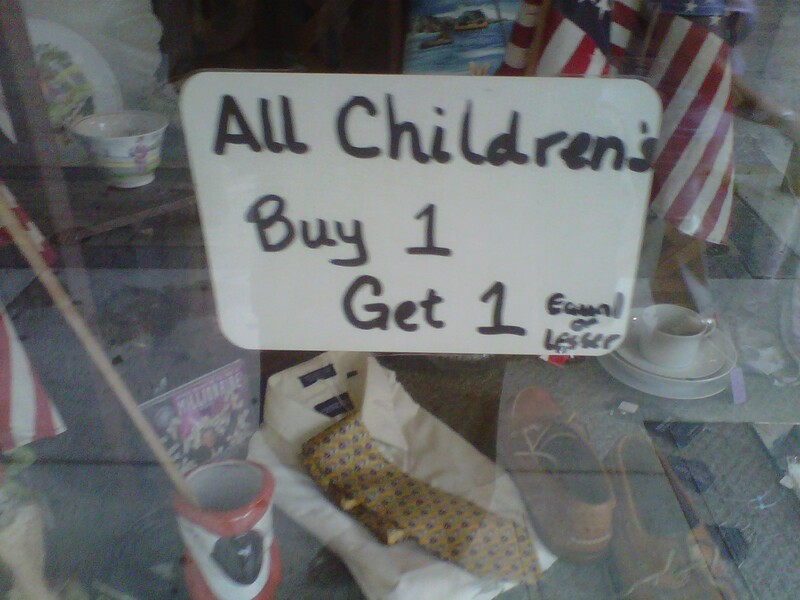 The store is open on Fridays, Saturdays and Sundays through the end of the month, but call to check on availability. Plum Catering (215-880-3881) is a new gluten-free caterer that specializes in on-site parties and private chef services throughout Pennsylvania, New Jersey and Delaware. The company will be catering a celiac awareness picnic at Scranton's Nay Aug Park on Sunday, August 1 from 1 p.m. to 5 p.m. The event is being hosted by Laure Stasik, owner of Alternative Eating in Scranton, with proceeds donated to the University of Maryland Center for Celiac Research. Plum Catering will be serving up burgers, hot dogs, potato salad, coleslaw, corn on the cob, turkey chili, veggie chili, fudge, peanut butter-chocolate poppers and more. There will be live music, kids' games and a Chinese auction. Ticket information is available from Alternative Eating at 570-344-6569. 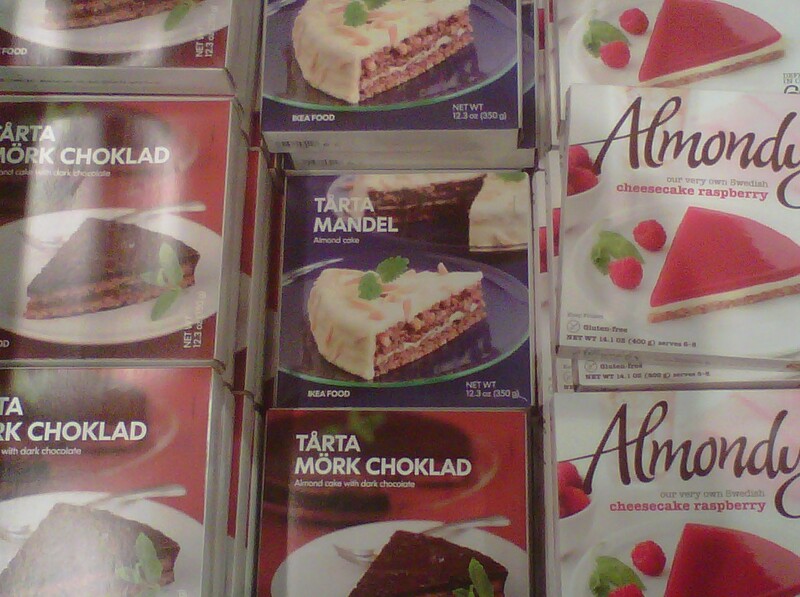 Next time you're at Ikea in South Philadelphia or Conshohocken to pick up a Billy bookcase or Ekby shelf, don't forget to grab a gluten-free, straight-outta-Stockholm almond torte or raspberry cheesecake. I hope you have the opportunity to celebrate Celiac Awareness night next Wednesday at Citizens Bank Park, as the Phillies take on the first-place Atlanta Braves. Discounted tickets are still available using code CELIAC. There'll be a special gluten-free concession stand at the “Break“ area on the 200 Level in addition to the gluten-free items available at concession stands located throughout the stadium: hot dogs, beer and snacks at the South Philadelphia Market behind Section 128, and Redbridge beer behind Sections 139, 204, 323 and in the Brewerytown stand in Ashburn Alley. Given the Phils' spate of injuries lately, you may even get a chance to play in the game! A new gluten-free friendly market will be opening in September in the Mt. Airy section of Philadelphia, as I wrote this week. The Food For All Market will have prepared foods and locally made baked goods for sale. Thanks to the folks at the Gluten Free Delaware support group for welcoming me to their recent meeting. Cupcake Heaven in Wilmington (2117 Concord Pike, 302-426-0270) graciously supplied the group with two trays of fabulous vanilla and chocolate cupcakes. Owner Drew Hurst also sells gluten-free vanilla and chocolate cake, chocolate chip cookie and brownie mixes. He is mindful of cross-contamination concerns. Home Grown Cafe in Newark (126 East Main Street, 302-266-6993) offers a gluten-free menu. There are several restaurants in the First State serving gluten-free beer. Wilmington's Domaine Hudson (1314 North Washington Street, 302-655-9463) has St. Peter's Sorghum Beer, while the BBC Tavern & Grille in Greenville (4019 Kennett Pike, 302-655-3785) carries bottles of Green's Discovery Amber Ale. The Wilmington Blue Rocks, Single-A affiliate of baseball's Kansas City Royals, have a gluten-free menu posted at its website. 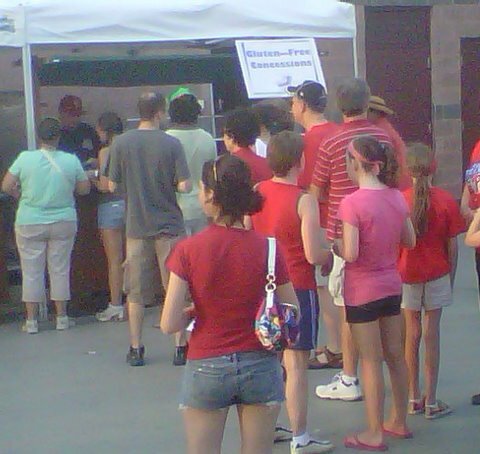 At Frawley Stadium, fans can order rice crispy treats, a hot dog plate (hot dog, salad, chips) and Redbridge beer. Elsewhere, Copper Fish in West Cape May (416 Broadway, 609-898-1555) has gluten-free pasta. Is it odd that there's no fish on the Feeding Frenzy Café menu at Camden's Adventure Aquarium? There are, though, several gluten-free options: grilled chicken made to order, baked potato with assorted toppings, chili (seasonal), and fresh fruit cup, apple slices and veggie sticks (celery and carrots). Sauté, in the Queen Village section of Philadelphia, has closed, reports the Philadelphia Inquirer. The restaurant hosted a celiac awareness dinner back in March. In Wayne, Christopher's now offers gluten-free rolls, flatbread and hot dog buns. Through the end of July, P.F. Changs is offering free lettuce wraps with an entree purchase. Submit your e-mail address at the restaurant's promotion page for a coupon. The Handcrafted Cookie Company in Phoenixville (24 South Main Street, 484-921-4934) makes both gluten-free and gluten/dairy/nut/egg-free chocolate chip cookies, sold on location and online. The bakery takes precautions to avoid cross-contamination. If you haven't been by Sweet Freedom Bakery lately, you must try their new donut varieties. Call ahead for availability. We ate them too fast to take a picture! And now a word from our sponsors. It's time to announce the monthly Amazon.com gluten-free specials, all of which are "free standard shipping" offers on orders over $50. Get free shipping on all orders over $30 from Glenny's with coupon code SHIP30 through July 31. 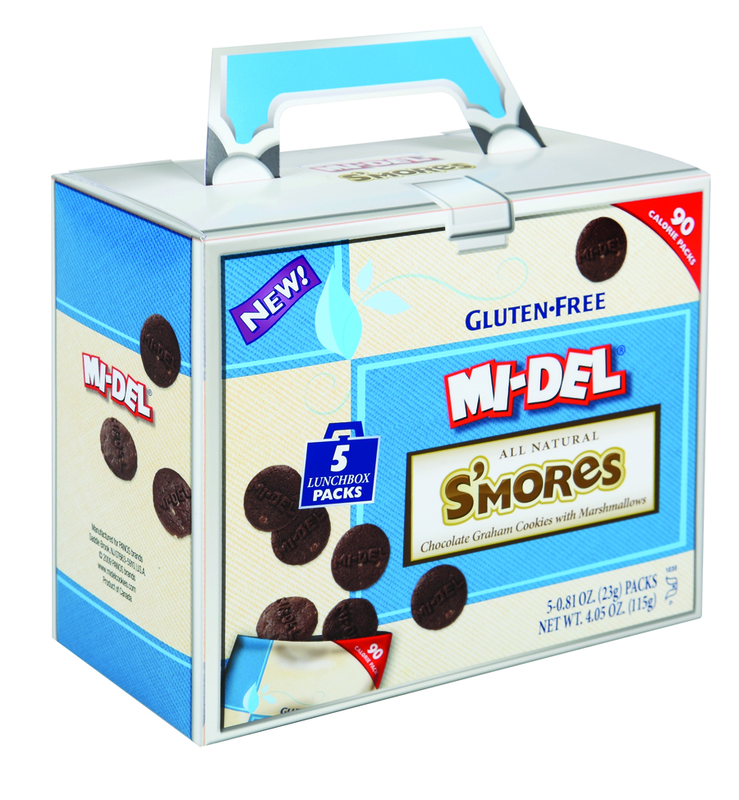 Glenny's gluten-free products include Organic Brown Rice Marshmallow Treats, Oatmeal Cookies, Fruit & Nut Energy Bars, low-fat Soy Crisps (except multigrain) and Spud Delites potato crisps. GF Meals is offering 10 percent off for first orders with code CELIAC. The company offers items such as Chicken Tenders, Turkey Burger Macaroni, Home-Run Slider Burgers, Meatballs, Crusty French Rolls, Chocolate Chip Cookie Dough and Chocolate and Vanilla Frosted Cupcakes. 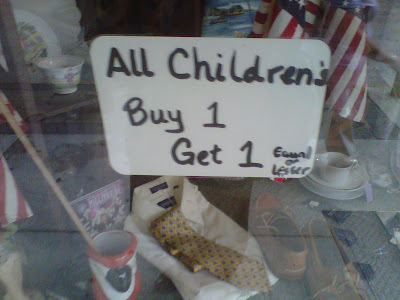 I'll leave you this week with a picture of a sign I saw in the window of a resale shop in Center City. With school out, it must be a summer clearance!